With its origins in Korea, Taekwondo has become the fastest growing martial art in the world today. Loosely translated, Taekwondo means “The way of hand and foot”. 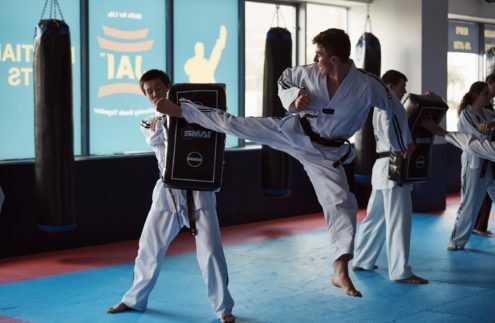 Taekwondo has an emphasis on kicking, the idea behind this is that the leg is the longest limb and able to generate a lot of power through the body’s big muscles – the quadriceps and gluteus maximus. Because of this, kicks have the greatest potential to execute fast and powerful strikes with limited retaliation. Historically, the Koreans believed the hands were too valuable to be used in combat. 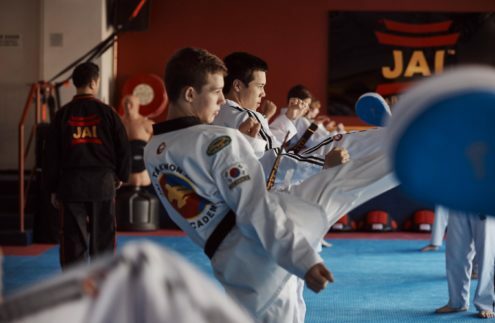 At JAI Martial Arts, we have a strong emphasis on kicking techniques, however we incorporate the use of hands for striking and defence to compliment our kicking and to allow us to successfully defend and attack from long and close range combat. ? 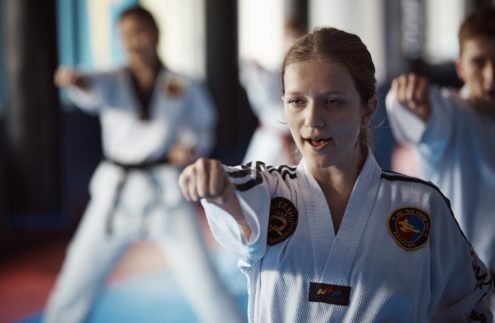 Taekwondo today has been developed to be simple but extremely effective for all ages to learn and excel at. 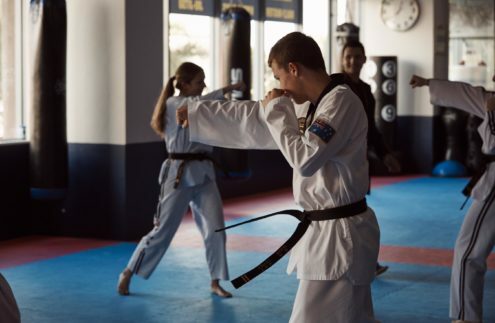 At JAI Martial Arts, we have a Black Belt syllabus that allows students to set the goal of achieving a black belt in this form of martial art. Students who are successful in achieving black belt are awarded with Kukkiwon Black Belt Certificates direct from Kukkiwon in Korea. 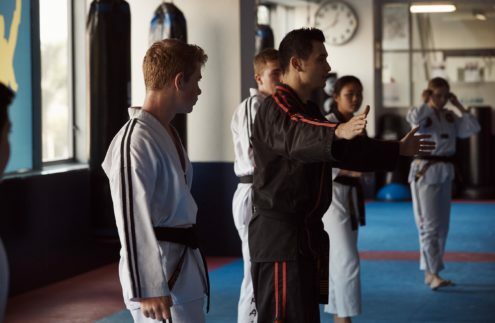 Our grading syllabus has an emphasis on striking and defending, poomsae (sequenced movements for defence and attack, self defence (grabbing attacks) and one step sparring (punch attacks).